Amazon just announced a new backtrack feature for Amazon Aurora. Amazon Aurora Backtrack, which is said to be like an “undo button for reality,” can be enabled at launch time for all newly launched Aurora database clusters. So if you make an error and need to turn everything back to how it was previously, it gives you the option to essentially press rewind. Here’s a quick explanation about the new option and how to use it. What is Amazon Aurora Backtrack? Amazon Aurora Backtrack is a function that lets you select a point in the past that you want to go back to, allowing you to essentially undo any errors or missteps that might have occurred recently. It works within Amazon Aurora, which uses a distributed, log-structured storage system for its database. So each change generates a new log record, which is identified by a correspondent Log Sequence Number. When you enable the backtrack feature, it provisions a FIFO buffer in the cluster for storing those Log Sequence Numbers, allowing it to recover and access that point in seconds. When you’ve realized that you’ve made a mistake, you simply pause the application, open up the Aurora Console, select the relevant cluster and click the Backtrack DB cluster. Then you can visit the Configure advanced settings page and then specify how far back in time you might want to rewind. From there, you just wait for the rewind to complete and then unpause your application and continue using the database as usual. If you find that you’ve taken the database back too far, you can then backtrack to a later time. 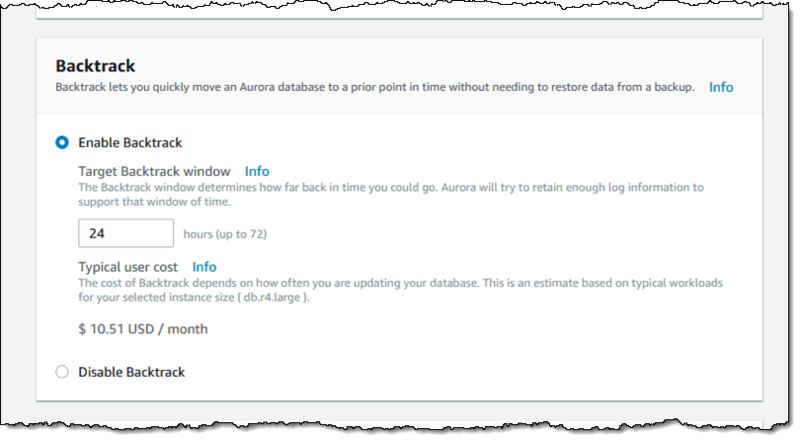 This new feature is available now in all AWS Regions where you can access Amazon Aurora. 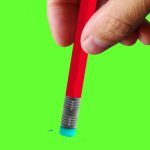 It currently applies to all newly created MySQL-compatible Aurora database clusters and to MySQL-compatible clusters that have been restored from a backup. When you create or restore a cluster, you must opt-in to take advantage of the feature.